Radiant flours are milled from only 100% certified GMO free organic cereal grains with no cross contamination from non-organic grains. The factory uses a mix of modern and traditional milling techniques to produce a wide range of organic flours, kibbles and meals. Radiant whole meal products are made on traditional mill stones which protect nutrients and enzymes of the flour and retain the goodness of the whole grain. The flours are stored in a controlled temperature warehouse at 10°C for insect control and freshness. Proudly Australian Flours. 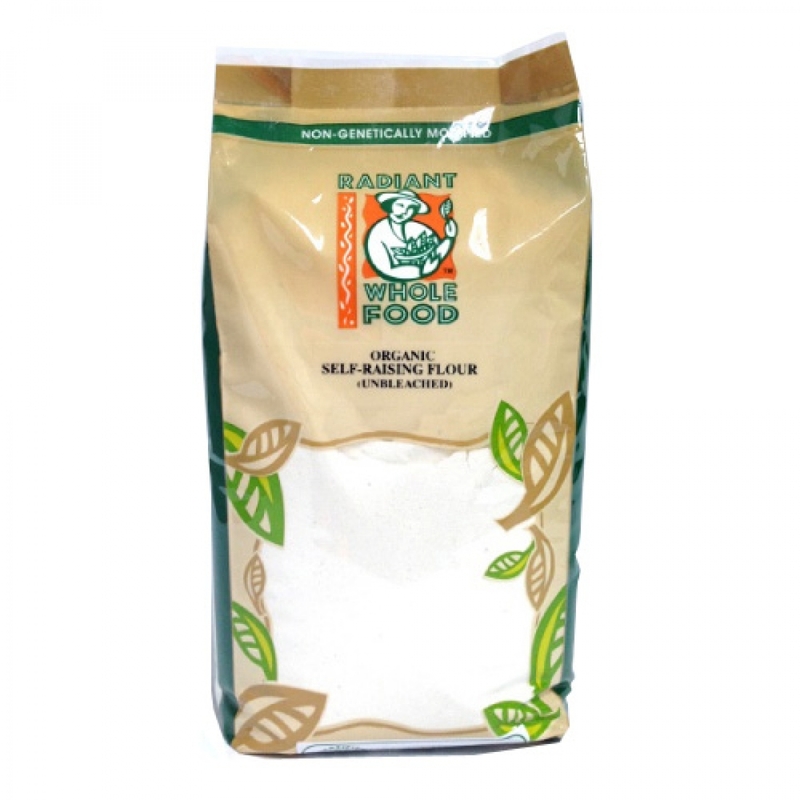 The flour is unbleached and has protein level of 14.5%. No further refinement & no additives added. It has creamy colour and a strong texture than most white self raising flour.